The legendary multicultural marketer talks with Campaign US about being a groundbreaker and an effective creative leader, and the state of diversity in the industry. Tom Burrell has spent a career as a groundbreaker. 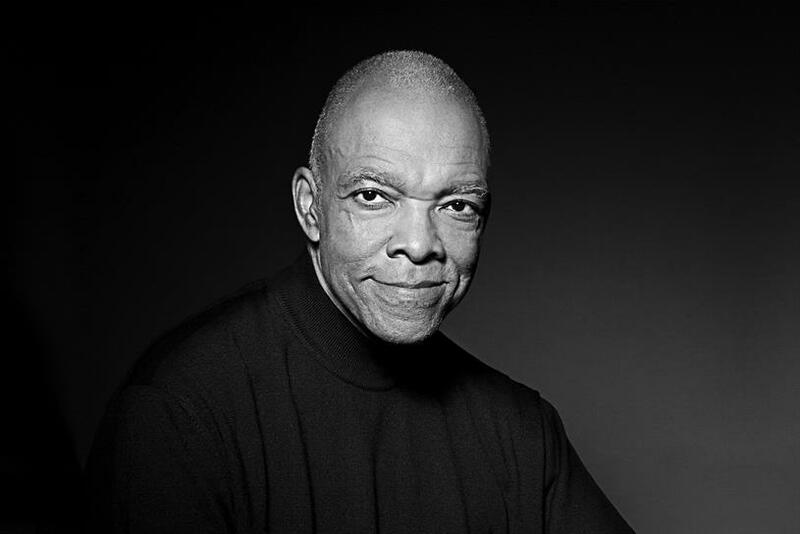 As the first African-American to work in the Chicago advertising industry, he challenged work that treated all customers as a like-minded monolith. His oft-repeated adage "Black people are not dark-skinned white people" became a mantra for marketers looking to make inroads among non-white consumers. On Monday night, the One Club for Creativity inducts him into the One Club Creative Hall of Fame, the first African-American to receive the honor. In 1971, Burrell founded multicultural marketing agency Burrell Communications. The agency landed clients like McDonald’s and Philip Morris and created historic campaign like the reimagining of the Marlboro Man for an urban audience. In the 1980s, Burrell’s work for Procter & Gamble’s Crest became the first packaged goods campaign to specifically target African-Americans. Some of his Coca-Cola work is archived at the Library of Congress. Though he retired in 2004, Burrell has continued working to improve cultural perceptions of African-Americans. His 2010 book "Brainwashed: Challenging the Myth of Black Inferiority" examines how words and images influence opinions of the self. He appears on National Public Radio regularly. In addition to Burrell, four others are being inducted into the Creative Hall of Fame this year: Susan Hoffman, co-CCO at Wieden+Kennedy; David Lubars, CCO, BBDO Worldwide CCO and chairman of BBDO North America. Artist and designer Rebeca Méndez, professor at UCLA, Design Media Arts, where she is director of the CounterForce Lab, a research and fieldwork studio; and Diane Cook-Tench, founding director of the VCU Brandcenter. Burrell spoke to Campaign US shortly before his induction. Campaign US: You've been the first in many different things, especially in this industry. Does joining the Creative Hall of Fame feel like it's a big deal now, or is it yet another "first" in the line? Tom Burrell: I've been out of the business for about a dozen years. It's a little surreal because of the amount of time that I've been out, but it certainly is an honor. I graciously accept the recognition. I didn't see it coming, but it's welcome, that's for sure. It feels a little bit like a Lifetime Achievement Award? Yeah. I guess it does feel that way. The thing that's interesting for me is that I come out of the creative area, but I have really focused on managing a creative operation. There's a little bit of a paradox there, because one of the most creative things you can do is stay out the way and make sure that you are giving people some leeway, by delegating responsibility along with commensurate authority to make them feel like they have a stake. One of the mistakes I've seen people make is, especially creative people, is they have a hard time getting out of the way and allowing their people to grow. So I think the one thing that I've created more than anything else is creative people, and I take a great deal of pride in that. That's also the real key to growth, because if you have a choice of holing yourself up in an office by yourself and creating, versus going out and delegating to 10 people, then you can grow 10 times faster because you're giving other people the opportunity to help you grow. I always joke and tell people that I've been more creative since I left the agency. But I certainly set the direction, which I think is really the big idea. I always put concept first, developing strong directions and concepts for people to follow and really, really being zealous about making sure those concepts are adhered to. A great execution is nothing if not consistent with the strategy that you set forth. You said that you retired from the business a little while ago, but you've been busy since then. You had a book in 2010. You keep showing up on NPR. As a matter of fact, I sometimes refer to the advertising business that I spent about 45 years in—I sometimes refer to that as my second job preparing me for what I did after I left, which is really more engaged in the whole issue of media and media literacy and media messaging and what it does on a larger scale basis beyond selling products and services. That's very much what my book was about and what a lot of my speeches are about and interviews. Leo Burnett was the first person inducted into the Creative Hall of Fame in 1961. It is now 2017, and you will be the first African-American. Why do you think it took so long? Boy, that is a problem. I have a mixed reaction to it. I think there's a general feeling that there's supposed to be some sense of pride about being the first, but the other side of that coin is the same question that you asked. Why am I the first? And why did it take so long? I think that racial attitudes are fairly institutionalized and baked in; it's not on a conscious level. I'm always reluctant to use words that have taken on a kind of pejorative meaning, like racism or racist or whatever, because that suggests a kind of conscious willfulness that doesn't always exist. I think that for a number of reasons, perhaps at a certain level, race does not have what I call "issue value" for lots of people and groups. I think people would say, "Well, it never occurred to me." I'd be surprised if there was a discussion that came up every year since 1961. Maybe that's part of the answer, too, is that the reason it hasn't happened is because there was nobody there on the other side who has been through the issue enough to raise it. I don't know. There are all kinds of possibilities. So in your experience, once you break that barrier, once there is someone on the other side of the table, doesn't that then serve as sort of a constant reminder to people? Does that subconsciously affect the people who are considered for induction in the future? I think it can't help but help by raising the issue, because the one thing that I am pretty sure of based on all the research and observation that I've done in the past is that race is a pretty obvious issue once you're confronted with it. We've done enough research at various universities that there's a kind of implicit bias. What most people see when they see a black person, they see their race. They see their race before they see the height, or their weight, or their walk or what they're wearing. Once you put that face in the room, then it does kind of set up that cue, I think. How do you think the state of the industry compares in terms of diversity and representation of underrepresented groups, to when you were first getting into it? On the creative teams and in the agencies, but also in the work that's being created. Back in the '60s, during the height of the Civil Rights movement there was a major, major drive to bring African-Americans into the business, and it was such a concerted effort that it kind of backfired on itself, because blacks were being brought in so quickly and so much without plan. People who owned the agencies were putting out these edicts, and they were basically having black people brought in, and copy supervisors, creative directors, whatever came in the next day to find they had a new employee working for them that they didn't ask for. I lived through that. There was a reaction to that, and a lot of them didn't survive. The pattern is that if people in this business—which is so personal in terms of how it's set up, and interpersonal—that if the chemistry isn't there, then what happens is that the people in charge don't ask the writer or the art director to do anything. So they're sitting there. There was a number of them, they're sitting there and they don't have anything to do except be window dressing, and then as a result of not having anything to do, they get disconsolate and they start commiserating. They start commiserating and then they become "troublemakers." They become troublemakers and either they leave voluntarily or they’re made to leave. Now, there were a few people who survived that and managed to work it through pretty much on their own, or with the help of someone who grabbed them and did some mentoring. Said, "Okay, we're going to make this work." Those few people stayed around for quite awhile. Then after that, there was a kind of a dry spell going into the '70s, and that pretty much remained. The thing that I find very striking is that the advertising agency industry is probably way behind almost any other, possibly except the tech industry, which is much newer, in terms of having African-Americans at the highest levels. I could name you black presidents of universities. I could name you black CEOs of major corporations, major leaders in theology who head up organizations. But when it comes to the advertising agency business, there are very few. The nature of the advertising business, first of all it's relatively small. It's relatively…I call it "istic," because it's between race, cronyism and nepotism. It's a small club, relatively speaking. The third thing is that it's extremely subjective, especially in the creative area. If I'm a cabinet maker and you have me make a cabinet, or even a financial analyst, two and two equals four and the groove fits and either the table wobbles or it doesn't. You have situations in advertising where how people judge the work is subjectively based on how people think about you and what their objective is regarding you. You can come up with what is considered a great piece of advertising and that's just an opinion and it will always be an opinion even with research if it gets that far. You're still talking about an opinion. What kind of advice would you give for people who are getting into the industry now? Whatever the circumstances of the industry now, the work itself is something that they have a passion for. What should they be doing? If somebody comes to me and tells me they want to get into this business, I tell them to convince me that they do. I will even say, "The first thing I'm going to do is try to talk you out of it." Is that because you think they shouldn't be going into it and it's not a good place? No, the reason I ask that is because in order to be successful in this business you have to have a kind of ornery, missing gene, a mutation of some sort that says, "I don't care what the odds are. I'm going for it anyway." But at least you should know what the odds are and determine early on whether or not you have the stomach to deal with this stuff or not to the best of your ability. There’s a correlation with young people going into jazz. The problem is that there are more people interested in playing jazz, and the rate of growth there is not commensurate with the growth of its audience. If you follow that kind of supply and demand model, what's going to happen is that the jazz audience, which is much older, is going to die off and these people are not going to have anybody to play to, and they don't make money and they have to go work in the post office. I tell people to be very careful about what it is you're doing and what you're willing to deal with. I also perform from time to time, to sing. I was helping my drummer pack up all his stuff. Trunks, he had all this equipment. He might've made $100-$150 for that night. He's got this big van to accommodate these drums. I said, "Man, what is it ... Why didn't you pick a harmonica, or trumpet, or something?" He just told me, "Well, this is what I do. This is what I do." What he was saying was he made a deliberate decision that he was passionate about this and he would deal with the consequences. It costs more to be a drummer than to be a harmonica player, but this is what he does. I'm looking for that same kind of passion in someone who wants to be in this business. "This is what I do." Because if that is what you do, then you're going to do it. If you don't do it for a big agency, you're going to do it on your own or for a small agency. It's like if you're a writer. Don't tell me you have to get a job in order to be a writer. If you're a writer, that means you write. If you don't have paper, you write on the back of some cardboard boxes. That's what writers do. I think it's important to give people kind of a litmus test, because it sure ain't easy. It ain't easy if you're white, but it's especially difficult if you are a minority trying to not only get in, but stay in, and not only stay in but grow, in this business. If I manage to talk them out of it, then that means they're not crazy enough to do it. If I don't manage to talk them out of it, then they are. Then you say, "Okay, I'm going to give you all the support that I can find for you because you're just crazy enough to go ahead and do this thing." Does winning a Cannes Lion actually help brands?